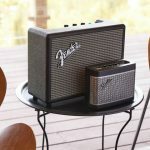 Opinions differ on when the Panasonic Panapet Radio was first produced – was it the 1960s or 1970s? Either way, its retro and it is undeniably cool. 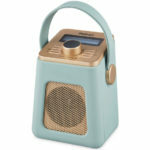 The portable transistor AM radio is housed in a round plastic case that was available in white, red, blue, yellow, green or a very rare lavender colour. It is attached to a large metal keychain to make it portable. Although just able to pick up AM, the Panapet is reputed to have very good reception. 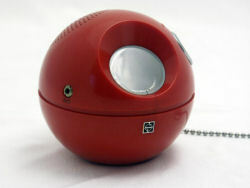 The Panapet is another product that frequently turns up on Ebay, but idyllic currently has a red one available for £45. I have a lavender panapet, do you have any info on how rare it is?